Wow! Have you ever been so blown away, so overwhelmed, so excited even that you just could not help but allow tears to slip down your face? It just happened to me and even though they are tears of joy, I can't stop them from flowing. It's not the first time this has happened to me, and Lord willing, it will not be the last. You see, I started a new Bible Study a little over a week ago. It's called "Duty or Delight: Knowing Where You Stand with God." Last Wednesday when I attended the opening session, I was already putting myself out there. I didn't really know any of the other ladies in the group and I was abandoning the group I have studied with and fellowshipped with for the last 4 or 5 years in an effort to connect with women at my new church. We read the intro together and I wanted to run! I was scared! The writer talks about our relationships with God and how to get the most out of the study. I got the distinct impression, this was going to involve me being very vulnerable and open. I'm gonna need to be honest and share with these ladies I don't know, not so they will know me better, but so I can get more benefit from this study. then, the first week was about how we can know God has chosen us. Ephesians 1:4 "For He chose us in Him, before the foundation of the world, to be holy and blameless in His sight." Do you picture more of yourself pursuing God or Him pursing you? Do you strive more for earthly perfectionism or Spiritual perfectionism and should you really strive for either? Do you ever say to yourself, "God has much bigger things to worry about than me?" What am I afraid of and why have I not handed those fears over to the Lord? How am I letting my shame over past events or actions affect me and my relationship with God, NOW? But remember the topic of his weeks lessons? "KNOWING GOD HAD CHOSEN US"
Tonight I decided to catch up on some reading and I went to a blog post I missed earlier this week. It's a guest post on Ann Voskamps's blog, but please do not let that deter you! It is every bit as powerful as what you are accustomed to reading there. And Liz Curtis Higgs makes the statement about Saul (not yet Paul) "But God chose Saul. Chose him." And it hit me right in the face! This week has come full circle for me. to become Paul (which means "small, humble"). Paul, who would go on to write at least 12 books of the Bible. Paul, who in the greeting of the book of Romans refers to himself as a "servant of Christ" and later, as a prisoner of Christ Jesus. If He can choose someone like Saul and completely change them into someone like Paul all because He had a plan, why do I fail to believe that He can change me? That He can use me? That He has a great plan for ME? Oh, ME, of little faith! 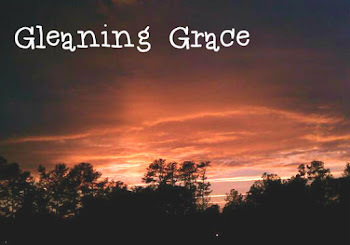 Hebrews 4:16 "Therefore let us approach the throne of grace with boldness, so that we may receive mercy and find grace to help us at the proper time." Ephesians 1:4 For He chose ME, LESLIE, in Him, before the foundation of the world, to be holy and blameless in His sight. Jeremiah 29:11-13 For I know the plans I have for LESLIE, declares the Lord, plans to prosper her and not to harm her, plans to give her hope and a future. Then Leslie will call on me and come and pray to me, and I will listen to her. She will seek me and find me when she seeks me with all her heart. My prayer for you, sweet friend, is that grace will find you this week. That you will know, He chose you and He has a plan for you. Please pray for me as I strive to reveal myself in this study and truly feel chosen by Him.